Family doctors who fail to quickly refer people for cancer checks are driving up death rates, experts have warned. At least 2,400 cancer patients die needlessly in England every year because their GP does not refer them to a specialist quickly enough, according to an analysis of statistics. 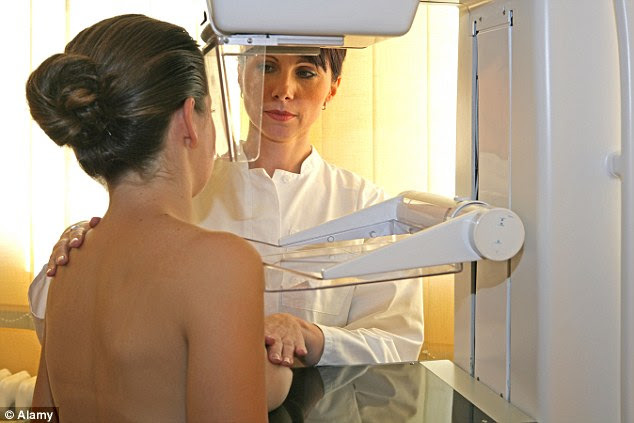 NHS guidelines say that anyone with suspected cancer symptoms should see a specialist within two weeks. Researchers from King’s College London found that GPs who did not regularly hit this target saw death rates of their cancer patients increase by 7 per cent. The findings are published in the British Medical Journal today, less than a fortnight after it emerged that in parts of England, GPs are being offered bonuses to reduce their referral rates. Britain has one of Western Europe’s lowest cancer survival rates, and one reason is that the disease is often not picked up quickly enough to stop it spreading. The new research suggests that GPs are playing a key role in this problem. Lead author Professor Henrik Moller said at least 2,400 excess deaths occurred in the worst- performing practices – and the figures could be far higher. ‘Increasing a GP’s cancer awareness and their likelihood of urgently referring cancer patients could help reduce deaths,’ he said. ‘There’s a fine line to tread between using the urgent referral route regularly and using it too much – which the NHS isn’t equipped to respond to. Professor Moller’s team examined data from 215,284 English cancer patients diagnosed in 2009. Roughly a quarter – nearly 59,000 – were treated by GPs who had a slow referral rate or a record of missing cancer signs. They saw death rates increase by 7 per cent compared to average. Meanwhile, patients from the best-performing practices had a 4 per cent lower death rate compared to those with a typical rate. The data was gathered from 8,049 general practices in England where patients were diagnosed or first treated in 2009. Sara Hiom, Cancer Research UK’s director of early diagnosis, said: ‘Earlier cancer can be treated more effectively with a wider range of treatment options. ‘And tumours can progress if there’s a delay in time to diagnosis and starting treatment. It’s never been clearer that reducing late diagnosis saves lives and this research adds to our understanding of what can be done about it.’ Health bosses insisted that referral rates had dramatically improved since the data was collected. The search for cures for conditions from cancer to Alzheimer’s disease is being hampered by shoddy animal research, it is claimed. A Home Office analysis of 70 years of animal studies found most failed to include simple safeguards that are vital to providing accurate results. A separate study showed the power of a new cancer drug had been overestimated by almost half in tests on mice. As a result, medicines that seem promising when tested in animals fail to work when given to people. Even the top universities, such as Oxford and Cambridge, are guilty of sloppy work, the journal Proceedings of the National Academy of Sciences reports. The findings have been described as a ‘wake-up call for the scientific community’, and will also raise concerns about whether animals used in medical research in the UK are subjected to unnecessary suffering.